Technically I went back and rewatched this film before the sequel came out, but then the review found itself on the backburner for quite a while. Needless to say, this film is certainly a lot better than the original. It still had a little issue with adding in too many plots which result in some being less interesting than the others, but ends up being a rather complete picture. The special effects still hold up really well and the characters are mostly likable. 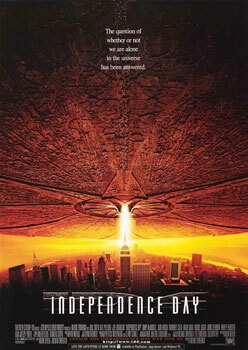 It’s the classic alien invasion story that you would expect and will always be remembered as an iconic film. The main plot here is that aliens have arrived and they want to take over the Earth. They naturally go after America first since this country is super strong, but the world is their endgame. Not to fear, America has a plan and we’ve got a lot of natural defenses on our side of the field as well. Can our team of handpicked experts stop this alien menace or is the whole world doomed? Time to find out! The film develops around a half dozen subplots so you get used to the characters before the Aliens actually show up. In one corner, we’ve got Thomas, the President of the United States! He seems like a charismatic guy and takes the situation in stride, but naturally there aren’t a whole lot of standard procedures to keep in mind when you are under attack from aliens. Considering the situation. Thomas keeps a steady command of the situation despite this and doesn’t let go of the reigns. He is easily the best character in the film as far as I’m concerned and his plot was also the most interesting. If you’ve been following my reviews a lot then you’ll remember that I always love to see the government’s point of view. As a result, the round table meeting with all of the higher ups was definitely a blast. One of the generals is ultimately portrayed as a bit of a worrywart by the end who talks back to the President and is quickly fired, but I actually liked him a lot when he first appeared. Before things went south for the character, he had some good points. For example, Thomas states that maybe they should consider going to Deafcon 4. The general immediately answers “Absolutely!” right after sighing as if he had been waiting for the President to finally make the obvious call. The general then went on to immediately dish out some orders before being put back in his place. Maybe he was a little too enthusiastic, but I liked how he immediately went to action and how he had his own ideas on how this should all go down. Another one of the better plots involved David. He’s a genius who works with computers and detects a hidden frequency within the alien transmissions. Nobody else has noticed this yet so it could be crucial, but he has to find a way to infiltrate the White House first and that is going to be an issue. Especially considering that he actually punched out the President a while back. Something like that is a little hard to forget. Luckily, he has connections within the building, but is he in over his head? David plays a large role in stopping the alien menace and gets into the front lines. The actor’s always done a good job in the movies that I’ve seen him in and pulls off the character quite well. Finally, we’ve got the third main plot which featured Captain Hiller. He’s the ace pilot on the group and is the only character in the film to actually defeat one of the aliens mano a mano. He provides the gusto and natural leadership that gives the team confidence when it is time for the final attack. David’s the brains of the operations, but you need to have some brawn in a firefight and that’s where Hiller comes in. His natural charisma is something that the leads from the sequel really lacked. Unfortunately, this is where we start to get to the plots that weren’t quite as interesting. For starters, there is Russell. He claims to have been abducted by aliens a while back and gets teased about it whenever he goes to the local bar to drink. He’s typically drunk throughout the day so that makes it tough for him to defend himself. He makes it onto TV, but not in a graceful light. He drives cross country with two teens, I believe they were his nephews, and they get to give us a grounded look at the situation. It was a very boring view though and this subplot was even longer in the extended cut. There was really no point to it though and naturally Russell got his big moment in the end, but I could have done without him. The plot could have certainly been more obnoxious and a lesser film would have really gone crazy wit it, but it still didn’t help the film out in the long run. I also wasn’t crazy about the plot involving the First Lady, who survived the crash and meets up with Jasmine, Hiller’s wife. (Girlfriend at the time) It was there for the emotional impact I suppose and to give us inspiration speeches, but it slowed the pacing down a little. That being said, I do have to give the plot some credit though because it provided us with a cool CGI scene where the fire starts to engulf the streets. We then see the main dog turn into Air Bud as he leaps across cars and outruns the fire all the way to the service entrance where the characters were. Many films have a make or break moment and this was it. If the characters had shut the door to save themselves and the dog had died, this film would have gone right into the trash. I would have churned out a 0-1 star review for this film and would have spent the duration bashing and bashing it. 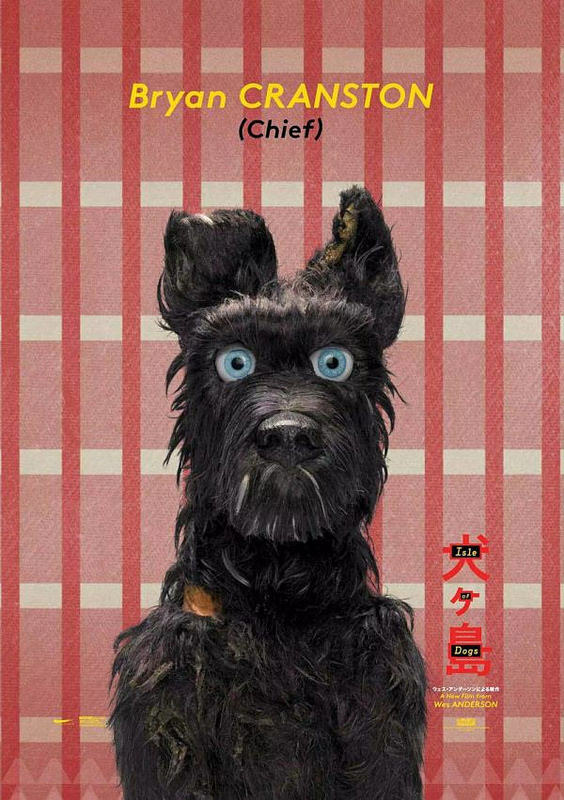 Luckily, this film had class and good writing so the dog lived and we got a plot with a nice ending. So, the dog scene is what saved the side plot. Finally, we also have some annoying characters when we head to the underground bunker. It starts off okay as the President takes charge and infiltrates Area 51. Unfortunately, the scientists there was too zany for their own good. They try to go for a very Johnny Depp kind of quirky, but it’s very forced and not appreciated. They don’t get a big role here so that’s good, but prepare yourself for the sequel. The main positive about this part was when the alien decided to fight back and attacked from his glass cage. The alien put up a good fight and the action scene really came out of nowhere. It was unexpected and that helped to make it a very effective moment. The film may have not been super heavy with action, but had its moments. There was a big aerial fight in the climax after all of the alien ships take on the U.S. Airforce. That was fun and the effects really hold up well. Between that and the famous scene where the White House blows up, you can tell that this film got a pretty high budget. A lot of people like to poke fun at the ending though, where we use a Mac to send a virus to the villains. I do agree to an extent that this is a little hard to believe and viruses shouldn’t work on villains in the first place, but I’m pretty okay with this. You have to keep in mind that we will never defeat an alien race without some kind of plot hax. Just look at how Captain Hiller takes down one of these superhumanly strong aliens with a single punch. It’s hard to swallow, but it’s still a pretty humorous scene to watch. At the very least, I thought it was pretty fun. The soundtrack was fairly good. It’s not going to be winning any awards from this blog anytime soon, but I thought that the tunes were placed rather well and that’s what counts. The President’s big speech was certainly good as well and one of the cooler moments of the film. It was so good that the sequel decides to reuse it instead of coming up with a big one of its own. Overall, Independence Day really set the bar for future alien invasion films. It definitely deserves to be known as a fun classic. It’s not completely amazing as some of the lesser subplots drag the film down a little, but it’s still a fun film in the end. The pacing is good and you should be kept well entertained the whole time. It’s essentially the definition of a solid film and considering that the aliens didn’t get to show up much, the set up was still really good. I’d argue that this is one of those films where the set up is better than the actual resolution as I like to see everyone getting worked up over the aliens. The fight was still good of course, but the prelude was just better. I certainly recommend checking this film out. 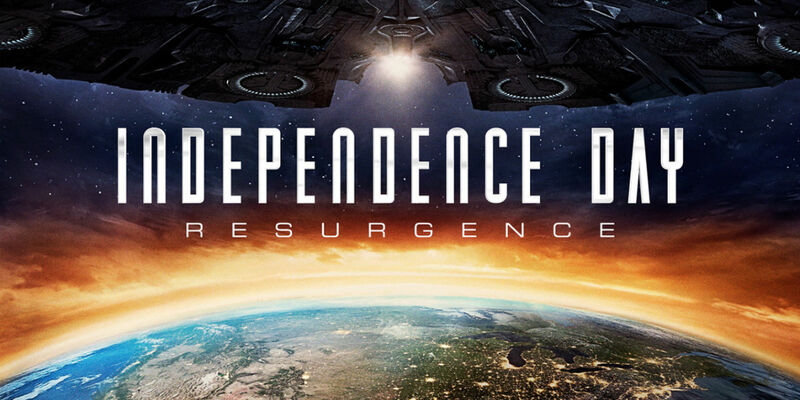 It may not be July 4th right now, but it’s always the right time for an alien invasion film.